BOGNOR Cricket Club were crowned Sussex League division-three champions when they beat Burgess Hill on Saturday. Having won the toss and put Hill in to bat, Bognor struggled early on. Tom Trowbridge and Tom Mackenzie shared a century stand as it looked to be a long afternoon in the offing for the first team. Bognor skipper Zayne Bux (two for 53) then entered the fray and soon removed Mackenzie for 40 and Ian Simpson for six to stop the advance and leave Hill at 116 for two. Spin star Joe Ashmore then entered the fray, taking 4-35, as Hill fell from 173-3 to 203 for seven. Tim Van Noort then snaffled a wicket late on as Burgess Hill posted 211 for eight. Just to make life interesting, Bognor’s top order failed to launch as they went from 15 for three to 49-4 as Dan Strange (three for 34) made inroads into the top order. Jim Fillick (44) and Luke Seward (23) tried to repair the damage but when they fell, Bognor found themselves 119 for six. Then, for the second time in a week, Joe Ashmore rode to the rescue and in tandem with skipper Bux, they inched the hosts forwards with a 79-run partnership. Ashmore was out for 33 and his side still needed 23 to win at that stage. 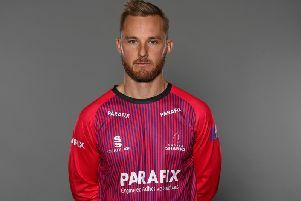 But Bux was the match winner for his side, cracking a six off the last ball as Bognor secured a two-wicket win and the league title along with it, as second-placed Crawley Eagles lost.